GBP is acting weak against USD due to the Manufacturing and Industrial production reports. 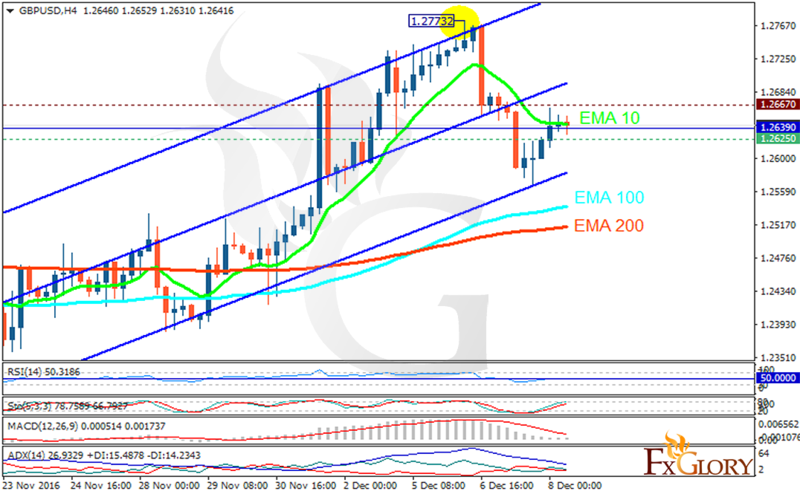 The support rests at 1.26250 with resistance at 1.26670 which the weekly pivot point at 1.26390 is located in between the lines. The EMA of 10 is moving horizontally and it is above the EMA of 100 and the EMA of 200. The RSI is moving on 50 area, the Stochastic is moving in high ranges while showing upward momentum and the MACD indicator is in positive territory. The ADX is not showing any clear signals. The chart seems bearish for now targeting 1.2500 area.